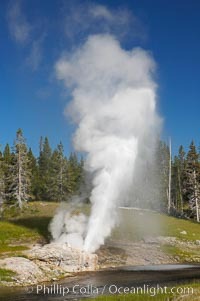 Steam rises above the Midway Geyser Basin, largely from Grand Prismatic Spring and Excelsior Geyser. 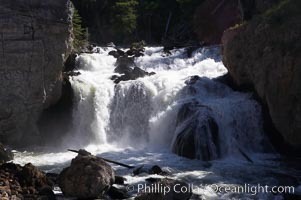 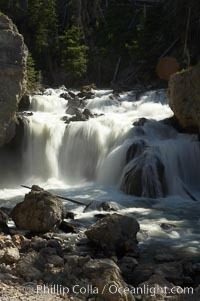 The Firehole River flows by. 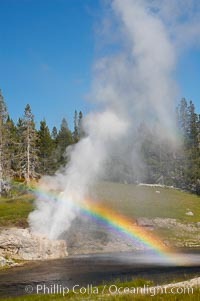 Excelsior Geyser, now dormant, was formerly the worlds largest geyser. 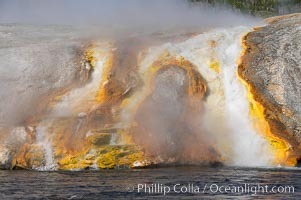 It still produces immense runoff into the Firehole River: 4,500 gallons per minute, or 6 million gallons per day. 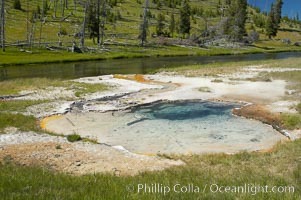 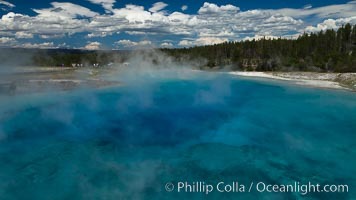 It is located in Midway Geyser Basin. 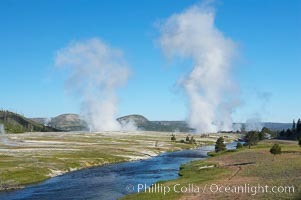 Panorama of Excelsior Geyser, now dormant, was formerly the worlds largest geyser. 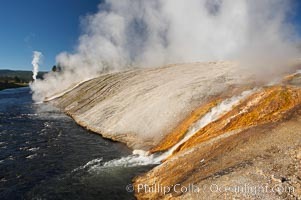 It still produces immense runoff into the Firehole River: 4,500 gallons per minute, or 6 million gallons per day. 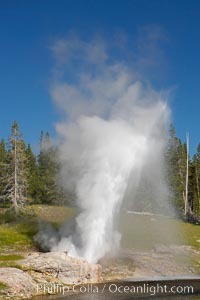 It is located in Midway Geyser Basin. 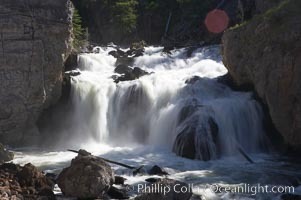 Firehole Falls drops 40 feet in the narrow Firehole Canyon. 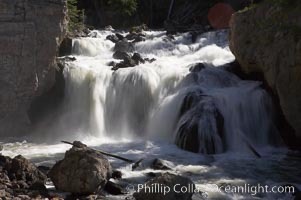 Kepler Cascades, a 120 foot drop in the Firehole River, near Old Faithful. 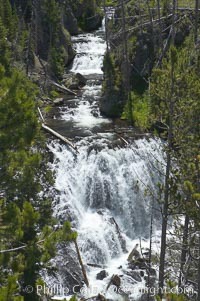 Iron Spring Creek flows in front of Green Spring. 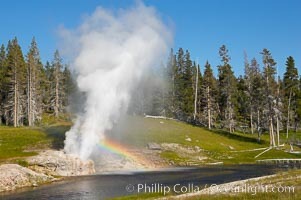 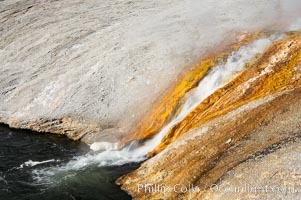 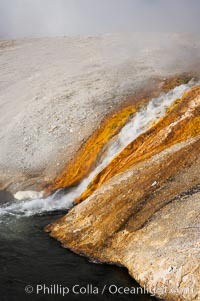 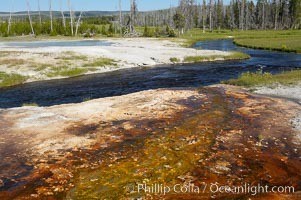 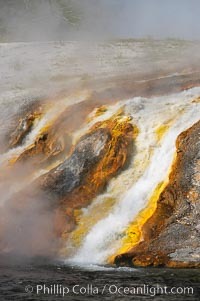 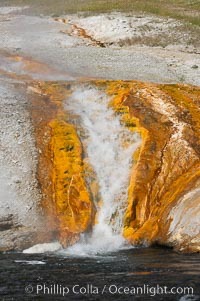 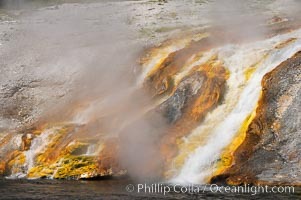 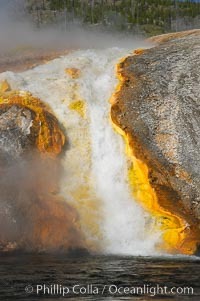 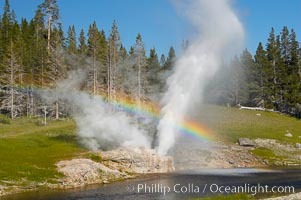 Thermophilac heat-loving bacteria color the runoff canals from Excelsior Geyser as it empties into the Firehole River. 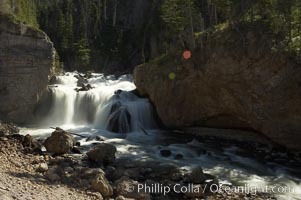 Bailey Spring, west of parking lot at Fairy Falls trailhead immediately adjacent to Firehole River. 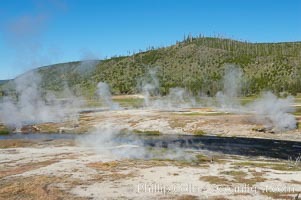 Midway Geyser Basin. 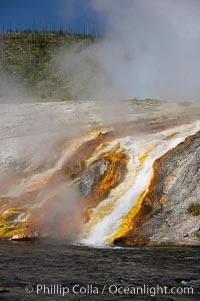 Steam rises above the Firehole River. 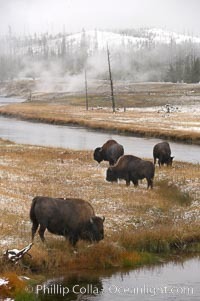 Bison graze along the Firehole River. 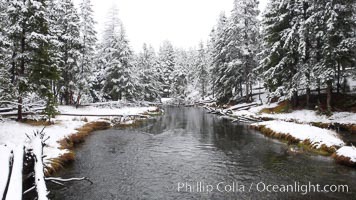 Firehole River in winter, snow. 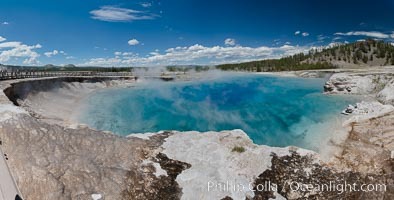 Firehole River, natural hot spring water steaming in cold winter air, panorama, Midway Geyser Basin.